Chelsea is reportedly on the brink of its first major signing of the summer with Belgian star Radja Nainggolan set to sign for the West London club. Football-Italia reports that Chelsea — owned by Russian billionaire Roman Abramovich — is willing to match Roma’s asking price of £35.5 million ($50 million) for the midfielder. The signing already has the backing of Chelsea player and fellow Belgian Eden Hazard. 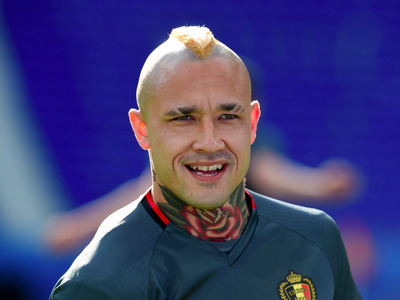 However, the signing might still face opposition from Roma President James Pallotta who said he would build a “great wall of Rome” to keep Nainggolan on his team, according to the Gazzetta dello Sport — though this could just be a ploy to raise the player’s price. Nainggolan, 28, has spent most of his career in Italy so far, joining Serie A club Cagliari Calcio in 2010 before moving to Roma in 2014. He also has 19 caps for Belgium and is a key part of the team in their Euro 2016 campaign. Commentators often credit him for energetic performances, especially his ability to switch from being a defensive midfielder to attacking playmaker. The football transfer window — the period in which clubs all over the world by and sell players — has already kicked off in the Premier League, with ex-Chelsea manager Jose Mourinho signing up Villarreal’s Eric Bailly to his new club Manchester United for a reported £30 million. Chelsea finished 10th in the last Premier League, a far cry from their title wins and Champions League qualifications of recent years. The club announced the appointment Italy’s current coach Antonio Conte as its new manager last April. He will start work after the Euro’s and has signed a three-year contract with Chelsea.